Tucked away in a tiny garage at Jodhpur Park bazaar in Kolkata is an extremely positive place called the Café Positive. So what’s so positive or special about the Café Positive? The fact that this café is run by a bunch of HIV Positive youngsters, makes it so special. One of its kind, this is also the first café in Asia to run by a crew of HIV Positive people, which includes both men and women over 18 years. Opened on July 14th, 201, the main challenge faced by Kallol Ghosh (the founder) was finding space for his brainchild café. In several of his interviews, Ghosh mentioned that people were reluctant in lending space to HIV positives but later a kind man allowed the gang to open their café in his garage for the cause. 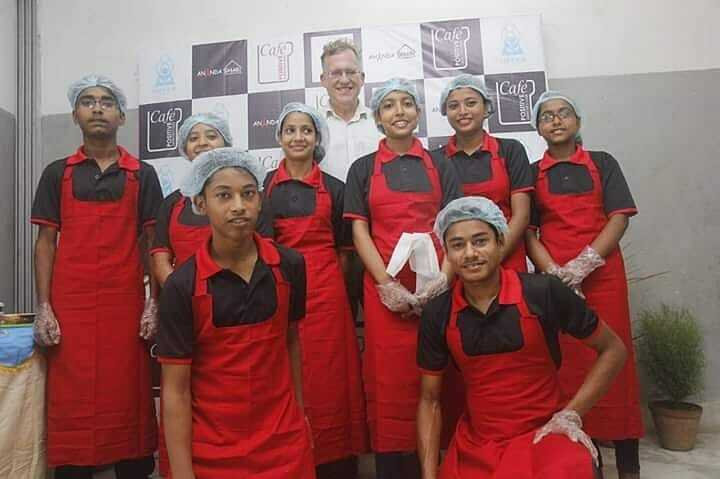 With a little help, the group of 10, managed to open their dream cafe and installed a tiny shelf, a semi-automatic coffee machine along with some chairs and tables. Coffee being an indispensable part of people’s social life is obviously the show stopper here. Their freshly brewed Lavazza coffee and Cha (tea), which is Bengal’s favourite, are absolutely awesome. People bond over coffee, so by serving coffee, these youngsters want to prove that they are also an integral part of the society, and want to get rid of the stigma attached to HIV-AIDS Positives. As per Mr. Ghosh, if people drink and eat food prepared by HIV-positive workers, it would help them understand that HIV positives are just like normal people. Besides coffee, the menu also includes a range of muffins, cookies and sandwiches, which are baked by the skilled workers. The entire team has taken three months of certificate business management training, which is an added advantage. Surprisingly, society is appreciating this positive change and the cafe has received tremendous support from all. Some eminent personalities too have visited the cafe to show their support to the HIV positives. The cafe receives minimum of 35 to 40 guests each day, which in itself is a great achievement, and now they plan to expand the cafe so that they can easily seat up to 40 customers.